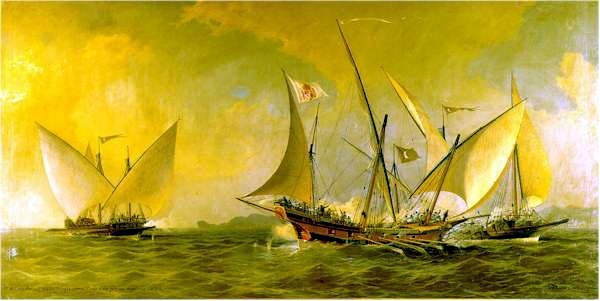 If you were a trader along the Mediterranean coast between the 16th and 19th centuries, your ship of choice just might have been a long sailing vessel commonly known as a xebec. Built specifically to navigate the waters and coastline of the Mediterranean Sea, xebecs were known for their ability to reach high speeds and their manoeuvrability. This was beneficial for two reasons: Faster merchandise transportation and, for the corsairs who favored the xebec design and speed, an ability to outpace victims or enemies. Early xebec ships were outfitted with just two masts, but as the design progressed, xebecs became more easily recognized by their standard three-mast structure. The ships were long, designed for speed, with an overhanging, long bowsprit. The types of sails used depended on the period of use. 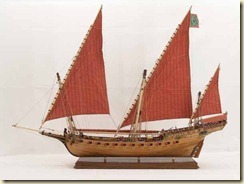 While traditionally the ships used lateen sails, later xebec designs included square sails on the foremast and lateen sails on the other, also known as a polacre-xebec. As for the Mediterranean corsairs, they made their own adjustments to the ships, to better outfit them for plundering ships and seizing merchandise from other xebecs! 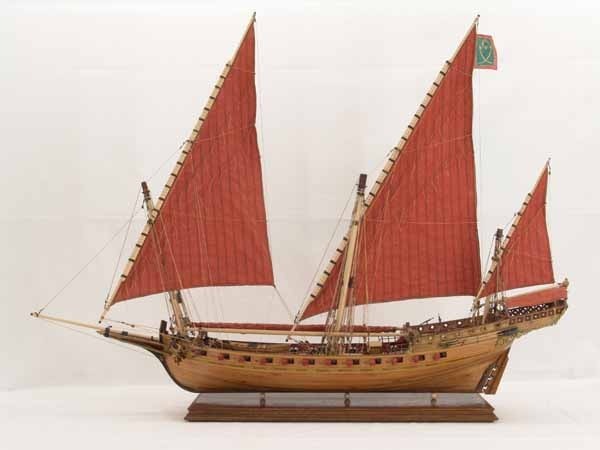 Instead of relying simply on sails, these xebecs were outfitted with oars or sweeps, allowing the ships to come alongside other vessels in calm waters. The corsair xebecs, regardless of their narrow floor plan, would also carry 300-400 men, as well as nearly 30 guns in a range of sizes. Though in early days they were referred to as a “throwback” to galley ships, xebecs could certainly hold their own, and lasted for several centuries as the ship of choice for traders and plundering corsairs alike!